Welcome to SDFiles where we, Zohner and Schmidty, will discuss anything and everything paranormal, metaphysical, crypto-zoological and otherwise strange. 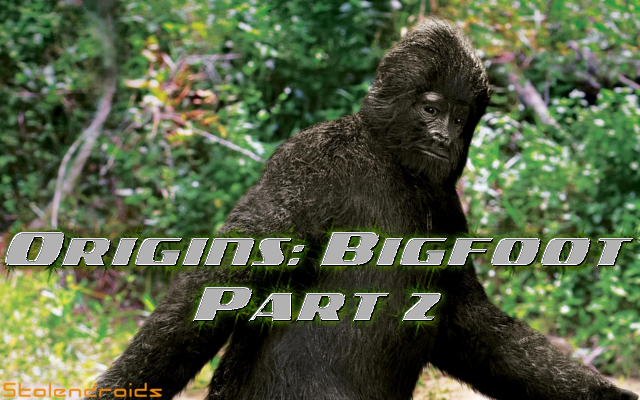 This week we are introducing our fourth episode in the Origins series, and the second part to Origins: Bigfoot. Be sure to check out Origins: Bigfoot Part 1 if you missed it. Last time we ended with the Patterson-Gimlin film, and we even recently discussed it in ep 37. Since then there has been a huge increase of Bigfoot hunting, Bigfoot sightings, and Bigfoot evidence crop up as more people try to find Bigfoot, and more people are attempting to create hoaxes around the Bigfoot phenomenon. That’s all for this week; thank you for tuning in. If you have any ideas for topics, or want to share your own experiences, theories or research, please let us know by emailing us at sdfiles@www.stolendroids.com. Code Monkey Extraordinaire. I like to code, and there's not many programming languages I don't know at least at a beginner's level, though I focus more on web-programming since I believe that's where the future is.